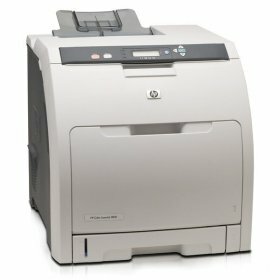 The HP 2600n is a color laser printer that prints 8 ppm in black and white and color. The HP LJ 2600n printer is network ready and has a 250 sheet capacity. Other features of the HP 2600 n printer include 600 x 600 dpi resolution and 16MB of memory. The HP 2840 is a color laser printer that prints 20 ppm in black and white and 4 ppm in color. 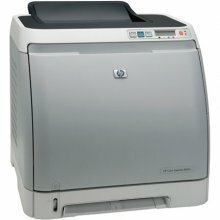 The HP LaserJet 2840 is an all-in-one printer, copier, scanner and fax machine. Other features of the HP 2840 Printer include 600 x 600 dpi resolution and 96MB of memory. The HP 3600n is a color laser printer that prints 17 ppm in black and white and color. The HP-3600n has a 350 sheet paper capacity which consists of a 250 sheet input tray and a 100 sheet multiprpose tray. Other features of the HP3600n include 600 x 600 dpi resolution and 64MB of memory and network connectivity. The HP Color LaserJet CP4005dn combines robust performance, power packed durability, and superb color quality for the printing needs of all sizes of workteams. 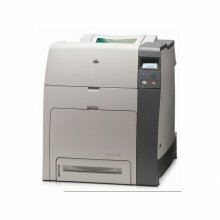 The Hp CP 4005dn also features duplex printing function. 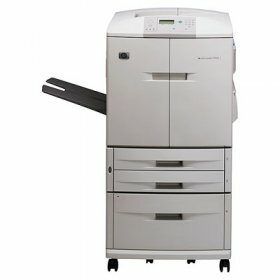 Demanding environments can expect color speeds up to 25 pages per minute and instant on technology virtually eliminates warm up time from the HP 4005-dn. The HP LaserJet 4700n is a color laser printer. 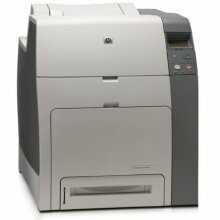 The HP LJ4700n can print up to 30ppm in color and black and white. The HP LJ-4700n includes standard networking and will have the first page out within ten seconds. 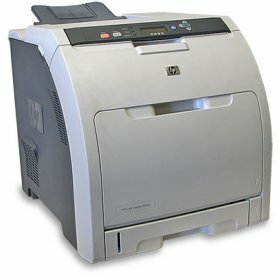 The HP 4700dn is a color laser printer that can print up to 31ppm black and white and color. The HP4700dn has 600 x 600 dpi resolution and 288MB memory. The HP-4700dn is network ready. 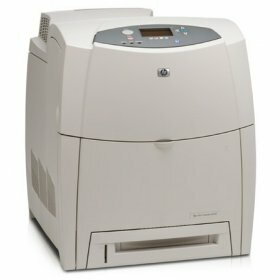 The HP 4600 is a color laser printer that can print up to 17ppm black and white and color. The HP4600 has 600 x 600 dpi resolution and 96MB memory. The HP-4600 has a 600 sheet paper capacity and networking features. 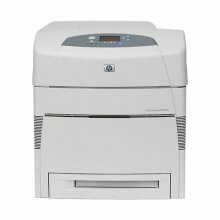 The HP 4650N Printer provides high speed, high quality color laser printing. A quick power cycle with fast calibration lets you start printing color documents right away with the HP LJ 4650N, at up to 22 ppm with optimal print quality. The HP4650N quickly processes large files and with a first page out speed of 15 seconds, your documents begin printing in no time. Print professional quality documents whether they're simple, one page datasheets or complicated 100 page reports with the network ready Color LaserJet 4650 N.
The HP 3500 is a color laser printer that prints 12 ppm in black and white and color. The HP-3500 has a 350 sheet paper capacity which consists of a 100 sheet input tray and a 250 sheet multiprpose tray.Other features of the HP3500 include 600 x 600 dpi resolution and 64MB of memory. The HP 4600dn is a color laser printer that can print up to 17ppm black and white and color. The HP4600dn has 600 x 600 dpi resolution and 96MB memory. The HP-4600dn has duplexing and networking features. 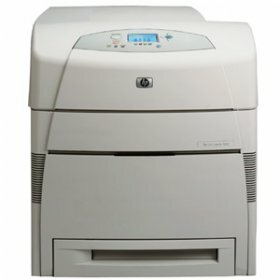 The HP 3800n is a color laser printer that can print up to 22ppm. The HP3800n is network-ready and has 600 x 600 dpi resolution and 160MB memory. The HP-3800n has a 800 sheet paper capacity. 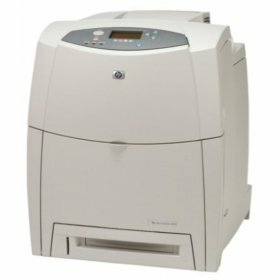 The HP 4650dn is a Color Laser Printer which prints 22ppm in black and white and color. The HP-4650dn has a 3100 sheet page capacity. Other features of the HP4650dn include duplexing and networking. The HP 5550dn prints color documents of high quality at fast speeds of 28ppm. 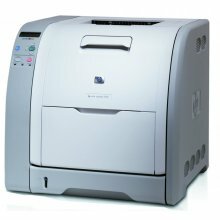 The HP LaserJet 5550dn Printer is an affordable and easy to use printer that offers standard duplexing and is network-ready. The HP 9500HDN is a Color Laser Printer which prints 24ppm in black and white and color. 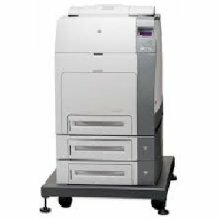 The HP-9500hdn has a 3100 sheet page capacity. Other features of the HP9500hdn include duplexing and networking. The powerful network-ready HP 4700dtn will boost your office productivity with fantastic print speeds of up to 31 ppm in black and white and color. The HP Color LaserJet 4700dtn printer offers just what you've been looking for. For vibrant color documents and expandable paper-handling capabilities choose the HP-4700dtn printer. The HP 5550n Color Laserjet is an affordable and easy to use printer. It delivers superb quality color printing high speeds of 28 pages per minute. Network-ready, with large paper capacity and accepting a wide range of media types, the HP LaseJet 5550N is a smart choice for your workgroup. Add high-speed, wide-format color laser printing to your office with the HP Color LaserJet 5500 laser printer. 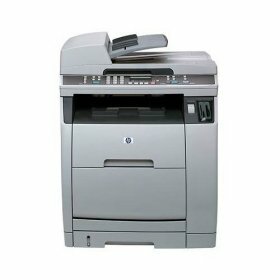 Simple to use and maintain, the HP LaserJet 5500 Printer is flexible enough for any office. Create high-quality color documents as quickly as black and white on this HP 5500 Printer. Make a lasting impact with brilliant color at speed on this HP 3800. See bright, intense color and realistic images with new HP ColorSphere toner. At up to 22 pages-per-minute (ppm), the HP-3800 printer is ideally suited for work teams that need high-impact color business documents in a flash.